The RJR Model is, perhaps, one of the rarest Pensa guitars. With only a few built a year, it features a single pickup, and either a 25.5" or 24.6" scale length. Single pickup and simple wiring make it a no-frills, all out rock machine. The RJR body is made of either Swamp Ash or Mahogany. The RJR comes standard with a custom wound Lindy Fralin pickup. Other options are Seymour Duncan, DiMarzio, EMG, and TV Jones. All RJRs can be configured to have any pickup configuration you would like, at an additional charge. Standard hardware includes a Hipshot bridge, Schaller or Gotoh machines and Torex amp knobs. Bigsby vibrato systems are available at an additional charge. 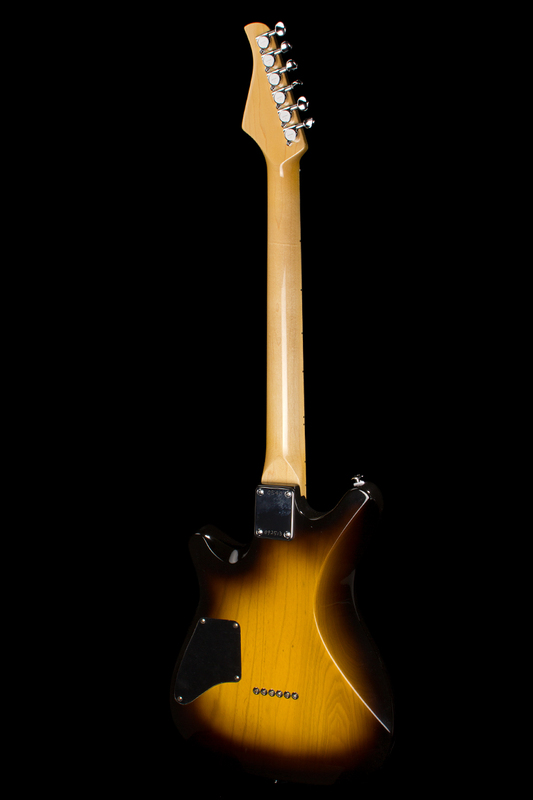 The RJR can have a Maple neck with a choice of Rosewood or Maple fingerboard, or a Mahogany neck with a Rosewood fingerboard.